Welcome to the Christmas storytime blog. We had great fun at the library Christmas storytimes this year where we read some amazing stories, sang some carols and made fantastic decorations that the children took home. At my storytime we painted and decorated amazing wind chime ornaments and Jess’s group tried their hands at weaving sparkly thread to make beautiful decorations. After the sessions, the children took home candy canes and Christmas cards from the staff. 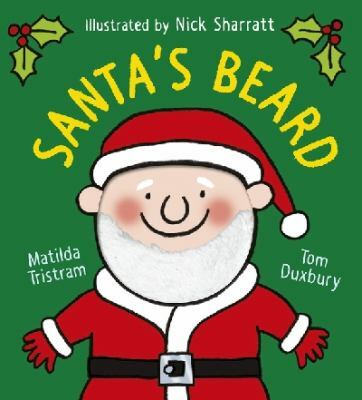 Santa’s Beard written and illustrated by Matilda Tristram, Tom Duxbury and Nick Sharratt. Santa’s Beard is a really cool interactive story that is one of my favourites to read at Storytime. Each page sees Santa’s Beard travelling to a new face after Santa gets a bit too warm, only to find himself in trouble once the weather turns chilly again. Children love seeing the funny places Santa’s Beard travels to. I love reading Pig books to children. Pig is always so naughty and children love to laugh at his silly expressions and silly antics, while recognising that he is probably not the most well behaved little doggo. 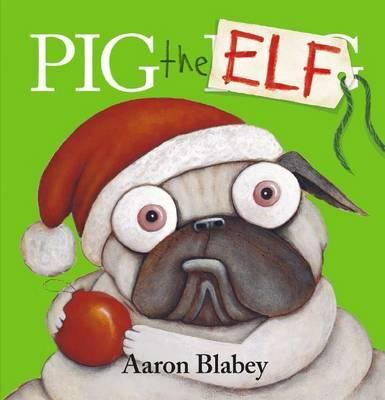 In Pig the Elf, Pig once again shows us what we shouldn’t do by being a greedy little pug at Christmas. Wow! This book is FANTASTIC! 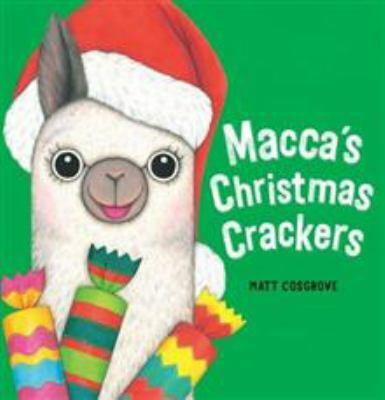 Macca’s Christmas Crackers written and illustrated by Matt Cosgrove demonstrates all of the most important qualities that a good picture book should have to encourage literacy in young people. It has beautiful clear print that moves around the page, the illustrations are bright and appealing, it has rhyming and alliteration to engage kids’ listening skills – and to top it all off, it has a beautiful message. What a great story to read to you little ones this Christmas eve. To extend your story further, why not try the cracker craft at the end of this post. The craft for this week, is actually a really easy cooking activity to do for Christmas with your little ones. Make this delicious Coconut Ice to eat this season, or give as a sweet home-made gift. Mix all ingredients together by hand, except food colouring, really SQUISH it through your fingers good and proper. Put half the mixture into a tray lined with baking paper and press down hard. Add food colouring to the other half of the mixture to make a nice pink mixture – then press this down on top of the white mixture. Refrigerate until set and cut into little squares. DON’T eat TOO much! It’s very sweet and yummy! Okay, so these aren’t “Rhymes” like we usually do for Storytime Blogs, but hey, it’s Christmas! PreviousOral history – Bryan Atkinson. Voices from the camps oral histories 2012.